Located between the lightweight Backhoe Boxes and the larger Magnum Boxes, the Standard Trench Box is in a class of its of its own against the competition. Being lighter than all of its competitors however doesn’t mean a compromise on strength. 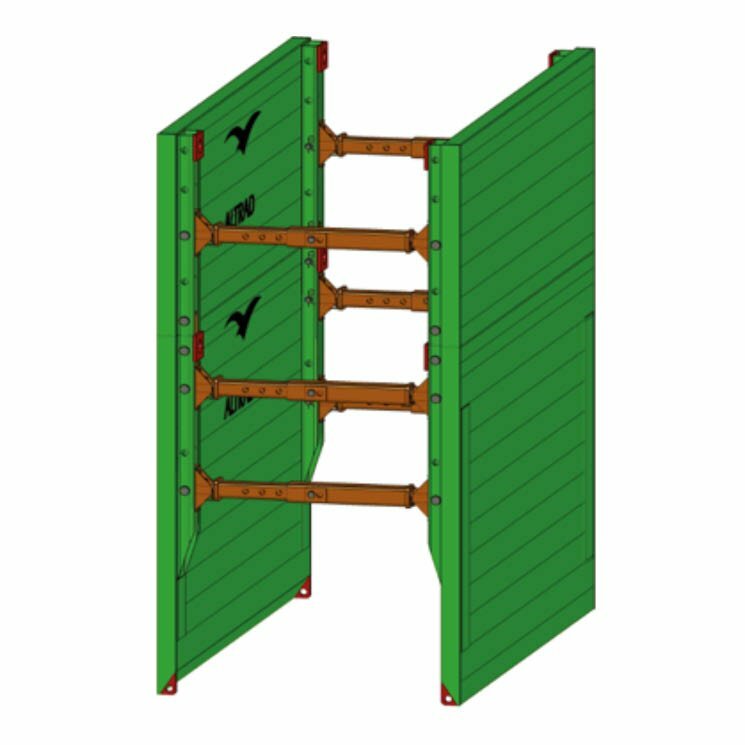 With our Standard Trench Box being one of the strongest on the market it is able to withstand ground pressure of 36.41 KN/m2 and is robust enough to withstand the rigours of everyday site work. Effective down to 6.50m, provided ground pressure does not exceed the Permissible SWL of 36.41 KN / m2 of this box. ALWAYS enquire about design service if unsure. Manhole Braces are the alternative if it exceeds the SWL and Manhole Braces or Alloy Walers if cross services are an issue on-site.